Calling all photographers! 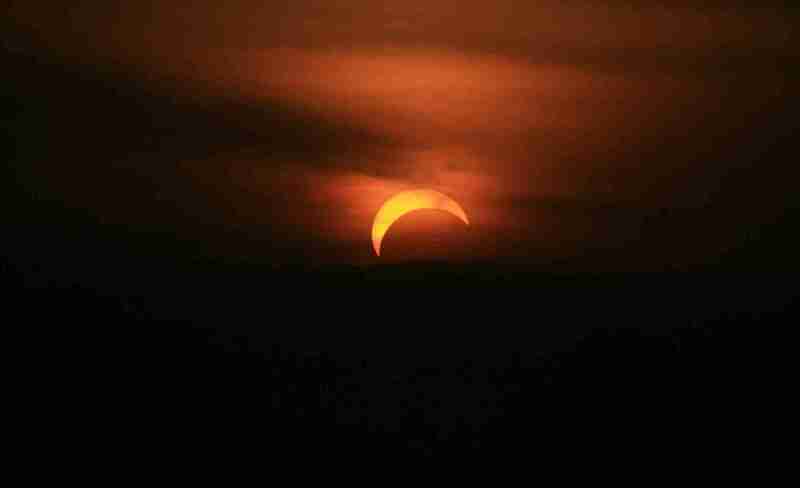 Come and view the eclipse from the Observatory viewing platform. The morning of this Friday, March 20th, we will be treated to a solar eclipse over Bristol. Weather permitting the Observatory will be throwing its doors open early for all photographers and budding photographers to set up their equipment and share experiences and skills photographing this rare celestial event. The eclipse will begin at 8.23am and we will be opening at 9.00am in time for the eclipse to reach its peak at 9.29am. Photographers will be invited to take advantage of free access to our viewing platform for a unique view over the city. This is only a partial eclipse, unlike the full eclipse that we saw back in 1999, but more than 80% of the sun will be obscured in Bristol. At the moment forecasts are predicting there will be a chance of clouds in the morning but regardless this should be one of the best views in the city and an excellent opportunity for photographers to meet and swap tips and advice. If you want to photograph the eclipse it’s not difficult, but there are a few things you need to know. Firstly let’s go over some basics. Make sure you have a fully charged battery and even better, bring a spare. Using a tripod as well as a cable release shutter will really benefit your by removing camera movement, but if you cant get your hands on a remote release you can always set your camera on a timer to avoid camera shake as a result from pressing the button. Although your exposure will not exceptionally long as both the earth and moon are moving, you’ll still want to avoid any additional motion. Now down to the camera settings. 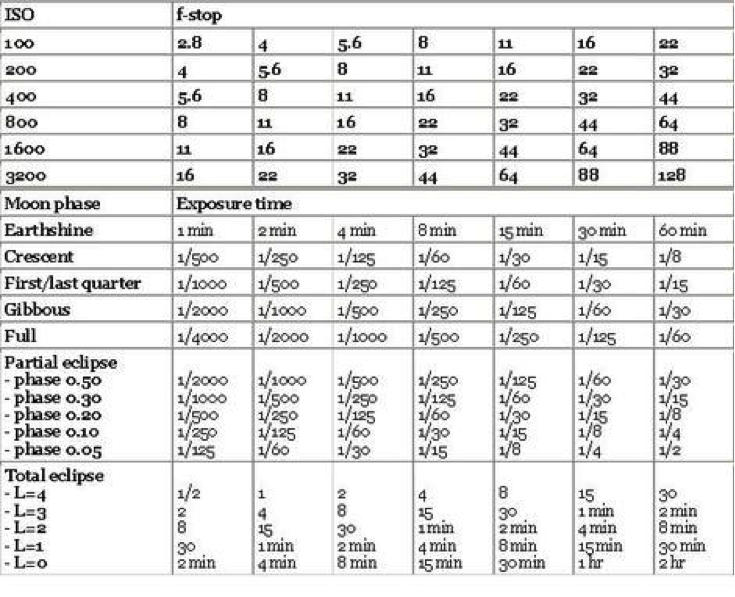 As your camera will be in direct sunlight you will want to have your ISO on the lowest setting and increase your aperture (F. Stop) so the image isn’t over exposed. 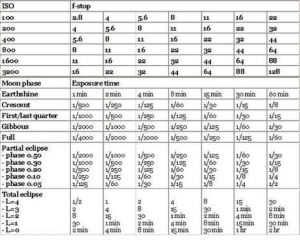 Below is a useful grid guide that you may find helpful. When it comes to picking your lens it’s really up to you, there are several different styles to photographing an eclipse; whether you choose wide angle with a landscape in shot or close up to really catch the detail of the spectacular event. Remember this will also be the last solar eclipse visible from Europe for over decade… the next chance you will have to see one over Bristol won’t be until 2026! That’s plenty of time to practise your camera skills.